Styles EXCLUSIVE to Easy Living! We often get feedback from both our local and national customers to say they LOVE our styles and huge range, and we take great pride in offering a "bit of everything" for our customers. 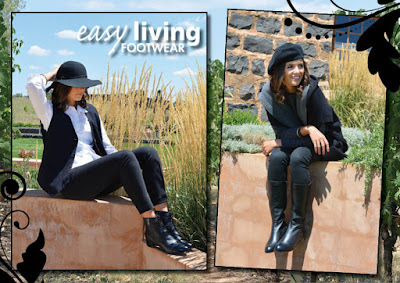 Our Easy Living brand was developed many years ago to cater for our customers where styles were lacking. And our sister-brand Audrey Avenue is a boutique, classically styled selection developed with our customers in mind. These are EXCLUSIVE to Easy Living Footwear, available only in our stores or through our website. We love that our range has continued to grow, with our customers embracing our exclusive styles - this helps us continue to bring our customers amazing footwear season after season!